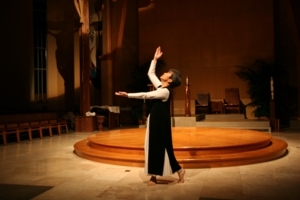 The Alleluia Dance Theater is a Christian not-for-profit, public benefit corporation, which welcomes participation of people of diverse backgrounds and faiths to experience dance in a sacred context. We believe that God has called us to share Dance as an affirmation of life, joy, faith, love, hope and the healing power of God. Through workshops, retreats, worship services and celebrations, using the performing arts, we provide opportunities to experience the outpouring of one’s spirit in communion with God.